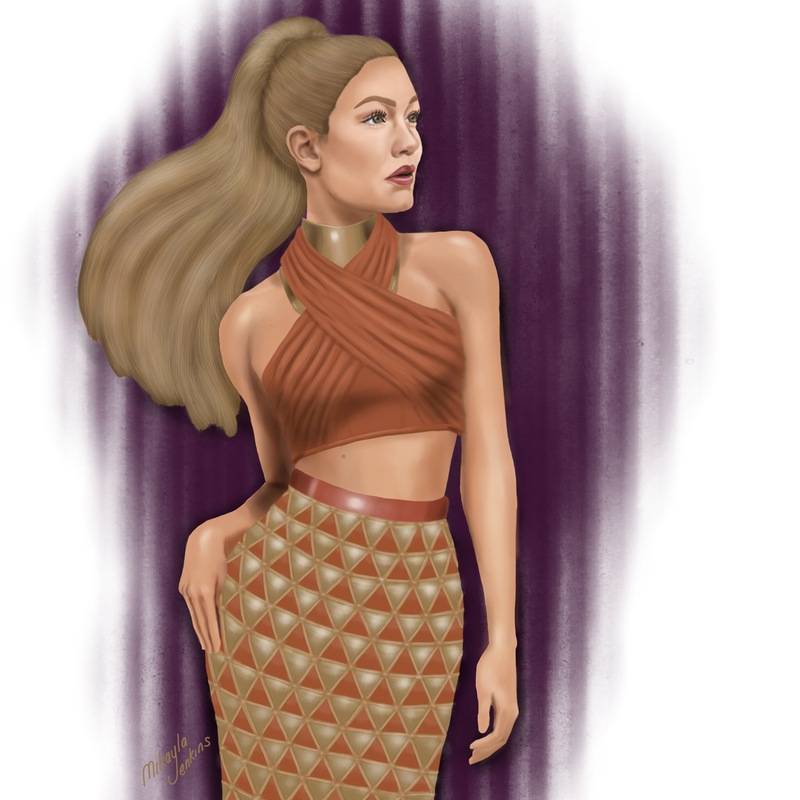 As soon as I saw pics of Gigi Hadid wearing this outfit in the Spring 2016 Balmain show, I just knew I had to create an illustration featuring this look. I adore the “too glam to give a damn” vibe that Balmain exudes, and my goal was to capture that feeling in this drawing. Also, the Balmain aesthetic is all about embellishment and extravagant details (as evidenced by this graphic metal skirt), and I seem to have this odd obsession with rendering intricate details. Thanks so much, Kimondo! I love Olivier Rousteing and his Balmain army too! I love the intricate details you include in your drawings Mikayla! Balmain make some really stunning pieces and Gigi Hadid wears everything beautifully! Thanks so much, Saba. I always love drawing Balmain.